The Canadian Government is opening further Visa Application Centers in several regions in preparation for Dec 31, when citizens from the Asia Pacific, Asia, and the Americas will be expected to present their biometric information (a photo and fingerprints) when appealing to work, visit, study or reside in Canada. VAC's are service providers and they are privately-owned managed by the Canada government to give visa-related services. Canada started growing its network of VAC's in advance of the initiation of mandatory biometrics for citizens from Europe, Africa, and the Middle East on Jul 31, 2018. The government assumes that there will 152 VAC's in 103 nations by the end of 2018, along with current VACs in Cape Town, South Africa, and Antananarivo, Madagascar. I.R.C.C states it has also improved services in surviving VACs found in key nations, including India, China, and the Philippines. 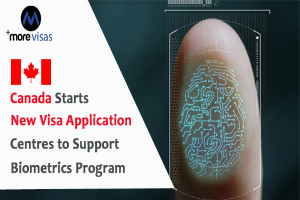 Biometric identification enables visa officers to screen candidates for prior criminal convictions or Canada immigration violations. It also provides Canadian Border Service Agency administrators to confirm a traveler’s identification when moving to Canada. The Canadian Government states it takes privacy commitments very seriously, and safeguards have been developed into procedures, policies and technical systems. These policies depend on the ethical practices of global partners who are more relying on biometrics.